Andrew McNeile Jones graduated from Oxford University's Ruskin School of Art, with a first in Fine Art, in the 1980's. He then trained as a filmmaker, working in all areas of the film and television business. He produced and directed dramas, documentaries and commercials. He shot in many countries around the world, and won numerous awards for his productions. In 2002 decided to leave the film business in order to be able to concentrate on his art; He paricularly wanted to channel his passion for lighting and art direction into his painting. He now lives in Oxfordshire with his wife and young family. 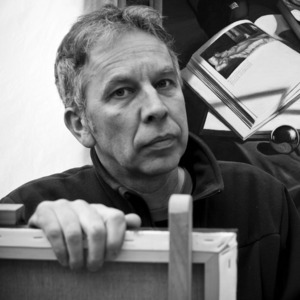 He has exhibited regularly since 2003, and his work is in numerous private collections around the UK, in France, Holland, Italy, and as far afield as St. Petersburg In 2007, he won first prize in a Fine Art Trade Guild competition. In 2008 he won second prize in the 'Artists and Illustrators' Artist of the Year competition, in the Still Life category, and in 2009 was a finalist with International Artist magazine. In 2009, he was commissioned to produce some paintings and drawings for Harrods department store, which now feature on some of their products. His work is to be seen regularly at the major art fairs in London and across Europe. He is one of the featured artists with Go Figurative, a London-based online gallery which is also hosting an increasing number of real-world exhibitions and special events. He also exhibits at The Art Gallery in Tetbury, Gloucestershire. In September 2011 he had his first solo show in London, 'Silent Light', organised through Go Figurative. Also in 2011, he started exhibiting some work at the Parisian gallery, Anagama, and had a highly successful two-person show there in 2012. He has been profiled in a number of publications, including Art Of England, Homes and Gardens, Art Business Today, as well as being interviewed on BBC Oxford.